Was in Boston last week and went on a run of Portuguese places -- Casa Portugal and Atasca (both in Cambridge). 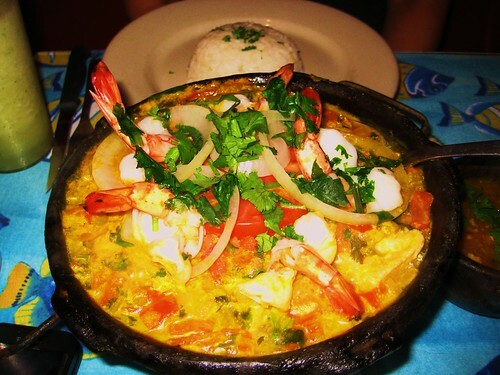 Wish I had known about Muqueca, which has a Brazilian bent (as the name suggests). Next time. JeffB wrote: Wish I had known about Muqueca, which has a Brazilian bent (as the name suggests). Next time. Muqueca is well worth a visit. Bring some friends if you want to enjoy the namesake dish. That sounds like a challenge, GG. I really like moqueca/muqueca (never saw the second spelling before this). Are you suggesting it's too big for one person? I've wondered: are the Brazilain/Porto places in Boston generally run by Brazilians doing some Portuguese or Portuguese doing some Brazilian? As much as enjoy Portuguese food, I enjoy Brazilian (especially Bahian) more. JeffB wrote: I've wondered: are the Brazilain/Porto places in Boston generally run by Brazilians doing some Portuguese or Portuguese doing some Brazilian? As much as enjoy Portuguese food, I enjoy Brazilian (especially Bahian) more. There is a substantial Brazilian community here (including from Bahia & Capixaba). 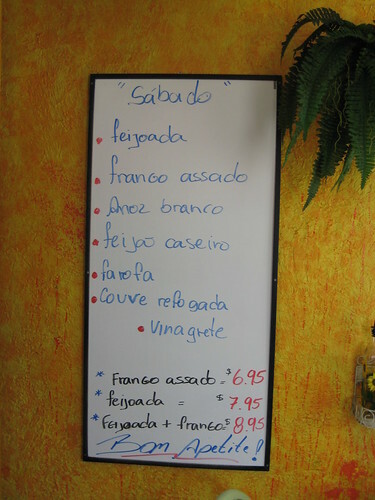 My understanding is that most of the Brazilian restaurants are indeed run by Brazilians, and Portuguese restaurants by Portuguese, however, there is crossover as well as a Cape Verdean presence too. Markets are another matter altogether. Not exactly a clear answer, or answer at all, but in due course I would like to respond to this as well as your (always interesting) insights above. Having recently moved back to Boston, I'm still catching up on all things Brazilian & Portuguese. Glad to see you were able to partake in some of the offerings, JeffB. Atasca was one of my favourites, and I hope it still is (it's been several years since my last visit). Thanks. 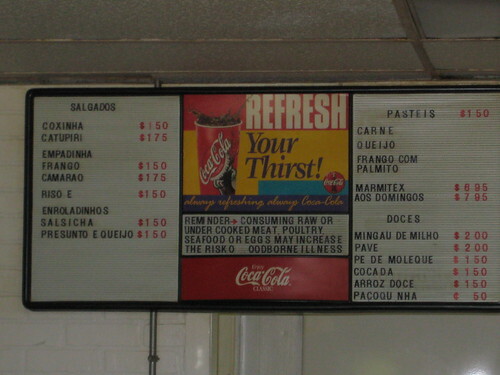 Both the Portuguese places were quite good. I'm looking forward to spending time in Boston (for work) and checking out more. Maybe once I've had my fill of clams and Brazilian, you can tell me how to differentiate among the dozens of white tablecloth Italians in the North End that all appear to be the same. JeffB wrote: That sounds like a challenge, GG...Are you suggesting it's too big for one person? Far be it from me to question the capacity of an LTH'er. I think we were a table of 4 and ordered one moqueca with some other dishes. An hour later, after much feasting, I seem to remember we hadn't made but a dent. But now I'm beginning to wonder if my impression has something to do with an order of feijoada and not insignificant imbibing. Because of all this, my muqueca memory was a bubbling vat of fish and mussels meant for more than one person. I see on their menu, that it doesn't specify "for 2" or anything like that, so I must be mistaken. 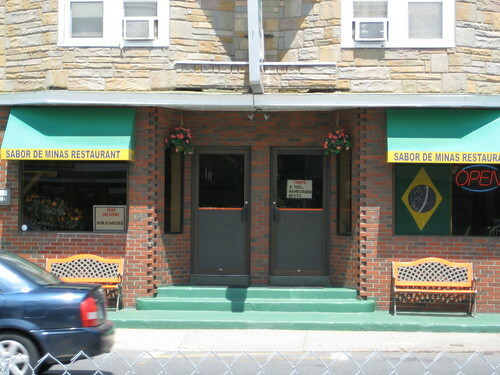 I guess here's as good a place as any for New England Brazilian. I had occasion to be in Milford, MA today, not a place I ever planned on spending much time in, but based on a preliminary scan of the town, I believe it certainly warrants at least another half-day to scour the handful of Portuguese and Brazilian markets and bakeries and butcher shops. While there are not many actual restaurants in town, Sabor de Minas is hard to miss, situated on a relatively quiet end of the main drag in town. 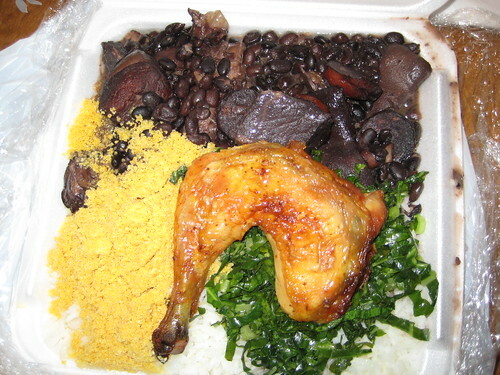 So I brought a Saturday constitutional plate of feijoada over to share with a friend I was visiting. Slow-cooked, tender & savory beans amped up with rich pork fat from the pig-feet & bacon, accompanied by chourico and morcilla and hunks of soft shoulder. White rice, kale, farofa and a roasted chicken leg to boot, it was a fine rendition. I also picked up some salgadinhos - a nice quibe (aka kibbe ) and coxinha, a fried croquette of ground chicken and Catupiry cheese. My friend, having married into a Portuguese family, also provided some homemade wine and housemade & smoked sausages which we enjoyed on freshly baked Portuguese rolls. 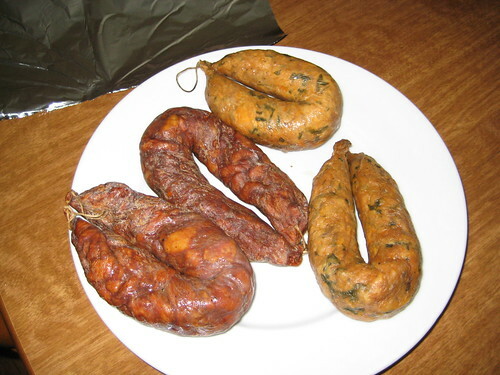 I particularly enjoyed the alheira (pork bread sausage), which had a somewhat smooth and tender interior texture, and was garlicky, slightly smoky, with hits of paprika and some form of capsaicin. The Portuguese and Brazilian rampage goes on. 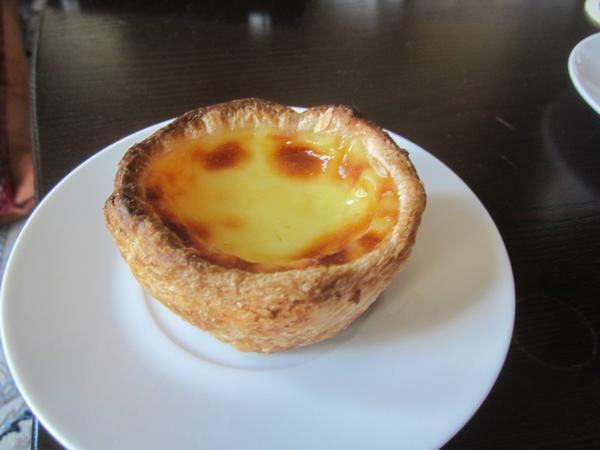 Upthread, I wrote about pasteis de nata, custard tarts made with a crunchy carmelized puff pastry shell. I wondered about something I read in Wikipedia, namely, that the Chinese Macau connection has a Cape Verde Islands element. 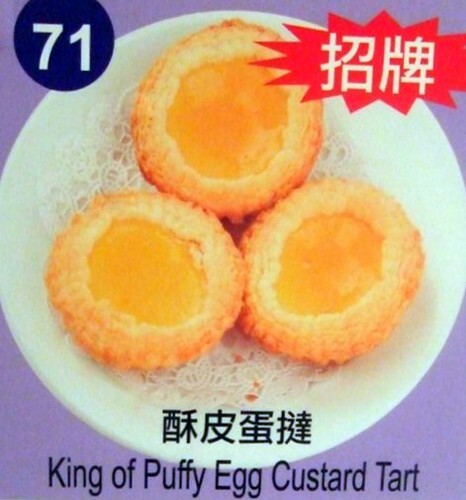 Not an explanation, but here is a picture of an egg custard tart taken on my last visit to the Chinatown Mall (Chicago) in May. I had heard long ago that Japanese tempura is based on a Portuguese introduction of fried foods into the Japanese repertoire. Can anyone comment on this? Josephine wrote: I had heard long ago that Japanese tempura is based on a Portuguese introduction of fried foods into the Japanese repertoire. Can anyone comment on this? Thanks for the link, Geo, it's quite illuminating. Takashi Moreida, food historian and author of this piece from the Kikkoman website, makes an important distinction, however. He states that the Portuguese introduced the Japanese to "the process of deep-frying," [emphasis added] but that tempura evolved as uniquely Japanese, based on Japanese tastes. I would surely like to try the seventeenth-century dish he mentions: ". . . balls made of a paste of thrush meat, shrimp and ground walnuts, which were deep-fried in oil, then covered with a sauce thickened with kuzu (a perennial of the bean family) starch." I doubt I can locate any thrush meat anytime soon, though. That will have to be one of those things-like ortolan- that I only read about, but which are part of the menu of my personal Cockaigne. Never locate thrush meat? Unfortunately, not. Josephine, I just *know* that I shouldn't say this—I think the other listers are going to come down on my head... But here goes, anyway. Birds like grapes, some birds REALLY like grapes. The Turdis migratorious is the worst of all the grape-eating birds. Now how do I know this? I grow grapes, formerly professionally, and have had to protect my grapes from this native American species of ravaging birds, the *%##$!! T. migratorious. One thing that helped was the advice given me by a University of Santa Clara classmate's wine-growing father: "Those birds taste real good." And they're thrushes (as the name "turdis" indicates). So, as near as your front lawn, a ravaging thrush! Geo, the only creatures ravaging my front lawn, such as it is here in McMansionville della Campagna Apartmentland, are Canada geese aka Turdissimis Canadiensis. M_Six wrote: And of course there's always the Niantic Book Barn on the way back. I had no idea anyone knew about this place. It is about 5 minutes from my house. Oh, what a small LTH world. I also live about 5 minutes from the Niantic Book Barn! Indeed a small world! Surely you have been to the downtown branch of the Niantic book barn? That's where the cookbooks are. I recently picked up a few more volumes, among them the New Orleans Times-Picayune Cookbook and Low Bush Moose, a book of Alaskan recipes by a former State Trooper. They tend to have quite a selection of classics at low prices. 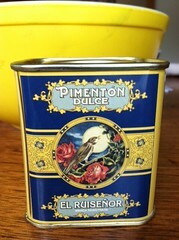 But my big find there was last summer: a 1906 copy of The International Cookbook by Fillipini "formerly of Delmonico's." It's a collection of over 3,300 recipes. organized seasonally. It's a book I can't put down. I paid $12.00 for the volume. gastro gnome wrote: Far be it from me to question the capacity of an LTH'er. I think we were a table of 4 and ordered one moqueca with some other dishes. An hour later, after much feasting, I seem to remember we hadn't made but a dent. But now I'm beginning to wonder if my impression has something to do with an order of feijoada and not insignificant imbibing. The moqueca at MuQueCa is, in the super-sized style of Brazilian eating, suitable for sharing amongst two people or 1 LTHer. While they are a Capixaban moqueca joint, one can order (off-menu) Moqueca Baiana (with dende and coconut milk) for a richer, slightly spicier style. Also quite good is the picanha, particularly the perimeter bites which explode hot liquified beef fat. Nab: If you can take it, this should be our next trip! Visited O'Porto's for lunch a couple days ago with some co-workers, and found it pretty enjoyable. It's different exploring a new place with workmates rather than fellow LTHers, of course, but I liked what I tried. 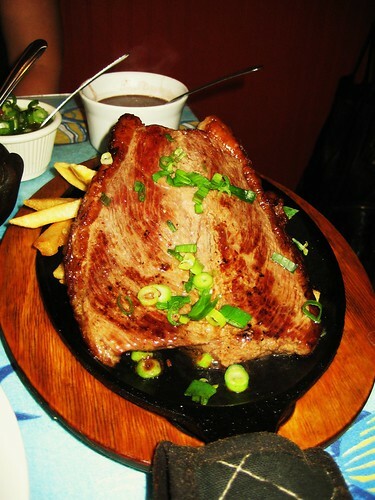 The chouriço asado was really excellent, and cool presentation. I like this sausage quite a bit, and it was my favorite part of the paelha, too, that I split with someone. We ordered the chicken, pork, and sausage version, which didn't sound nearly as good as the one shown a few posts above, but an uncertain relationship with bivalves drove the decision. In the future, I'd be inclined to pick around the clams and mussels--shrimp, duck, and sausage still makes a pretty appealing combination. Also ordered at table were an omelette and one of the sandwiches, steak I think, both very favorably received. Especially surprising was how much I enjoyed the Sagres Douro beer, a blondish, slightly cloudy macro-style lager that reminded me a little of Stella Artois. Maybe that's not high praise (I noticed the two reviews on Beer Advocate average a D+), but I thought it was a nice complement to the food. Worthy of note: due to a recent merger, I now have an office in Hartford, and next week will mark my third trip there in the past two months. I knew Josephine was in CT, but didn't realize quite how much the LTH-Hartford contingent had grown. Certainly an exciting development for me. It's mostly work, even after hours, when I'm in town, but I'm hopeful to meet up with the Hartford crew on some future visit. Additional data points for y'all--I've had two meals at Besito's and one at Brico's (both in west Hartford). I'd recommend both for that upscalish kind of meal. Was pleasantly surprised to see a mantchamatales mole, and happy that it tasted good too. 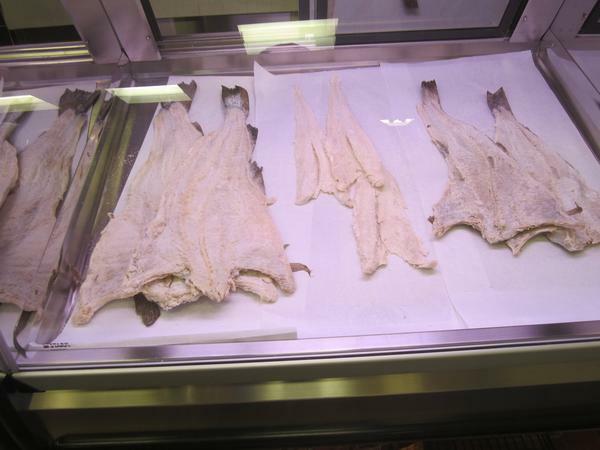 I stopped in at Solmar Fish Market last week to pick up some of their excellent house-recipe custom-smoked chourico. The owner told me that he is very happy to ship the chourico, and that he has customers all over the US, especially in Florida. 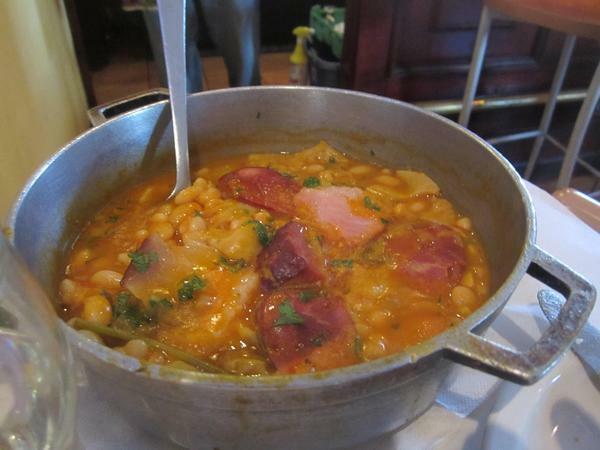 I also learned that the recipe for this chourico is from the Lisbon area, rather than from "the islands," as is typical of the chourico served in Fall River and New Bedford. If you order the sausage, get some sweet and some hot. 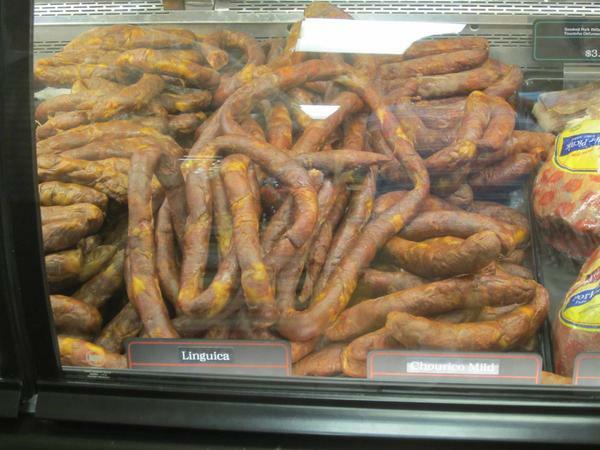 They also have morcilla. Apparently, the Portuguese community in Hartford holds their annual feast in June, and much of the catering is handled by Solmar, and a Portuguese caterer from Ludlow, MA. I made it down to Fall River for lunch last month. I was in Lisbon for a couple days in 2009 and really enjoyed the food so I was looking forward to visiting a Portuguese restaurant. Columbia Street in Fall River is lined with Portuguese restaurants. We settled on Sagres when we saw the small bar area full of elderly Portuguese men chowing down on sardines. 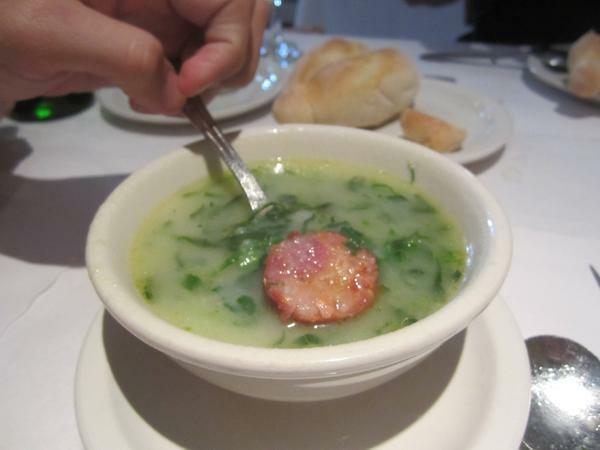 We started the meal off with caldo verde, a typical Portuguese soup made with kale, potatoes and chourico. This rendition was perfectly in balance, salty and slightly bitter. Next came the dish I remembered most vividly from my trip, clams in olive oil and garlic. 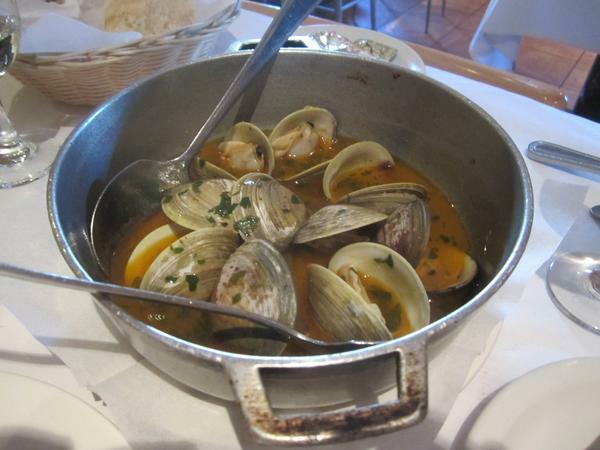 I was a little surprised when it came out steamed in a fishy broth rather than covered in oil as I remembered it (I even have a picture in my Portugal post to prove it), but it was a terrific preparation that really highlighted the sweetness of the fresh clams. The sardines were fresh but lacked a little crunch. Still good though. They were served with a light salad, boiled potatoes, and fresh tomatoes. A picture perfect recreation of what I was served in Lisbon. They were particularly enjoyable with a glass of chilled vinho verde. We were pretty full so we split two entrees. One was an order of the tripe special with beans and ham. This dish was rich and satisfying, and luckily, benefited from sitting in the fridge for a day since we didn't stand a chance of finishing it all. 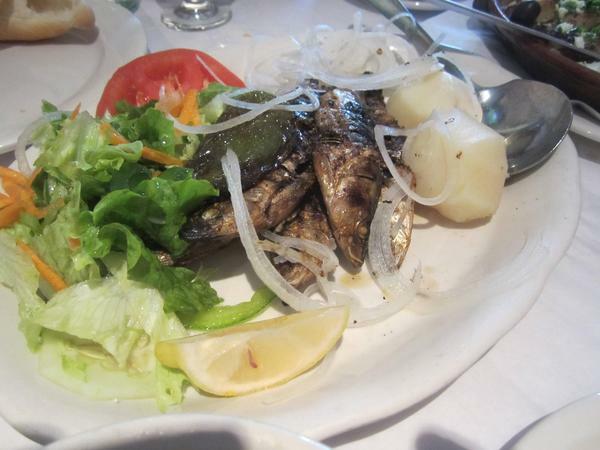 The other was the single best Portuguese dish I've ever had, Bacalhau de Gomes de Sa. This is a famous dish that I actually didn't get to try when I was in Portugal, but I can't imagine it gets much better than this. 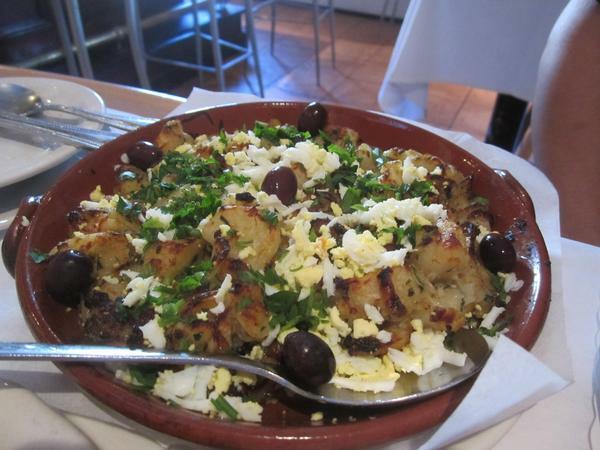 It's a simple dish of salt cod with potatoes and onions all baked together. Something about how the ingredients blended together, the salty, moist cod, starchy potatoes, sweet, almost caramelized onions, left the table speechless. I think all of us were surprised to enjoy this dish as much as we did, but amongst a table full of well-prepared Portuguese food, this was the standout. I'd drive to Fall River just to get that dish again. 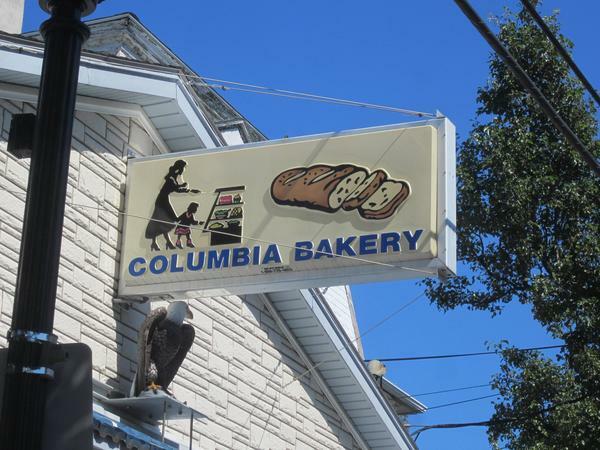 Down the street from Sagres is a bakery simply named Columbia Bakery which is the name of the street. 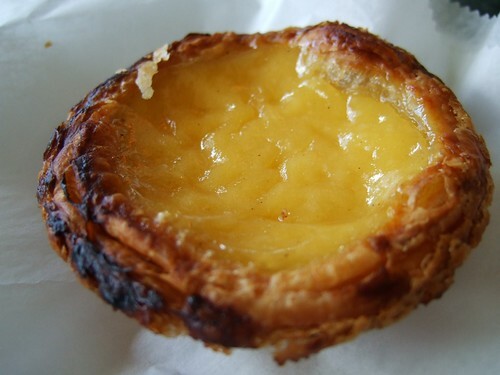 I was hoping they'd have pasteis de nata, and I was not disappointed. It lacked a little of the caramelized top but was still a nice version with a rich custard inside a light crust. They also had a large tray of stuffed quahogs (this is New England after all) so I had to try one. It was a lot spicier than I was expecting which was a great thing. It was stuffed with lots of butter-drenched bread crumbs and plenty of meaty, chewy quahog meat. This was a real treat. To round out my tour of Portugal, I headed down to Chaves Market. On the way I saw sidewalks decorated with white and black tiles, reminiscent of the tiling found all over Lisbon. In addition to a noteworthy selection of port, they had homemade sausages that smelled great, though I didn't get to try them. And of course, a selection of salt cod. Thanks, turkob, for the update on Fall River. I somehow missed this post until just now. The salt cod dish looks EXACTLY like the one we had on a trip two years ago. Sagres is consistent for sure, earning its reputation with the locals. 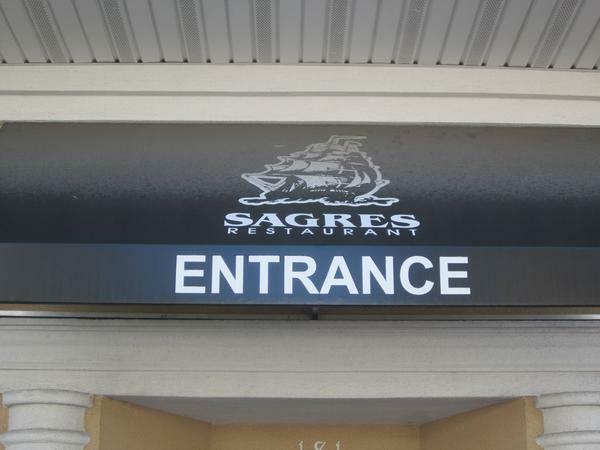 But I long to go back to Fall River, and count it among my top food destinations of all time due to the depth of "real food" offerings, Portuguese and otherwise. I have the feeling of only scratching the surface there, what with the Depression era sandwiches (chow mein, hot cheese) and the earlier Coney dog culture. I still regret missing by moments the Friday malassadas and the textile-era meat pies still made there. Nearby are famous donut and ice cream places we never made it to. Also, Jonnycakes and fried clams and farmstands, and -Rhode Island may be the best food state overall per square inch! Josephine wrote: The salt cod dish looks EXACTLY like the one we had on a trip two years ago. Sagres is consistent for sure, earning its reputation with the locals. It sure does look the same . . .
. . . except we got twice as many olives as turkob. The clams look awfully similar too. I liked Sagres a lot. I'd return without a second's hesitation. Josephine wrote: But I long to go back to Fall River, and count it among my top food destinations of all time due to the depth of "real food" offerings, Portuguese and otherwise. I have the feeling of only scratching the surface there, what with the Depression era sandwiches (chow mein, hot cheese) and the earlier Coney dog culture. I couldn't agree more. Fall River has to be the most underrated food city in the country. Fascinating place, almost chain-free, and you can barely scratch the surface in a day or two (though we sure tried). Bean dogs with chourico! 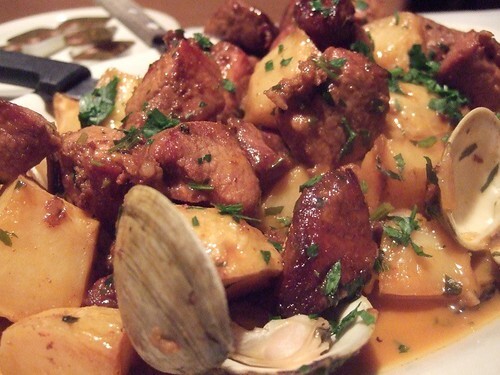 Here's a picture of another dish we enjoyed at Sagres: The pork with clams. So so so good! This gives me another idea for dinner, now that I have a freezer full of Missouri county-fair champion pork. * I promise to get on with posting the other pics soon! 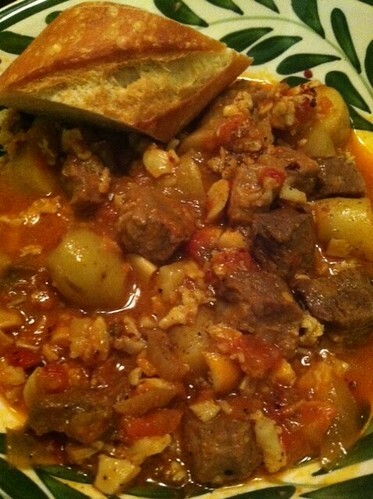 *Edited to link to Emeril Lagasse's recipe for Pork Alentejana- He is a Fall River native, after all! So I made Emeril's Pork Alentejana. My experimental hopes about this recipe's worthiness were not borne out. And I tend to feel that we should publish more studies that support the null hypothesis. There were no clams at Whole Foods today, so I used chopped clams and added potatoes, as in the Sagres and O'Porto versions. 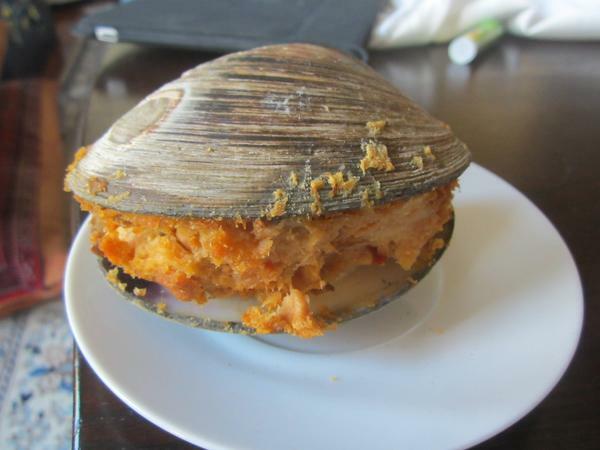 That there were not whole clams did change the dish and that is not the source of my main complaint about how it turned out. The sauce was just too acid, and, though I was fearful of that upon reading the recipe, I plowed ahead thinking maybe I could not anticipate how it would turn out. 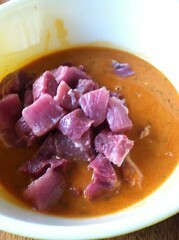 Still, I did not use all the marinade in the finished dish as directed-only about 1/3 of it. As I recall, the dish is supposed to be mellow, rather than tart. The best version I have had was in Seattle years ago, where the pork was lechon-crispy (not traditional, I think) and some pickled cippolini added a tart note to the mellow garlic-grounded sauce. Maybe I will see what I can do on my own with that approach. I think it's worth keeping at it, as I enjoy this combination of pork and clams quite a bit. The Neighborhood Restaurant, in Somerville, is one superlative away from (justified) self-appointment if our little program expands East. This is a breakfast-all-day spot with a beautiful vineyard-styled garden and Portuguese hospitality that extends from complimentary OJ to a big plate of house-baked breads and pastries that arrives mid-way through every meal, and then some prodigious portions of simply cooked, excellent ingredients. 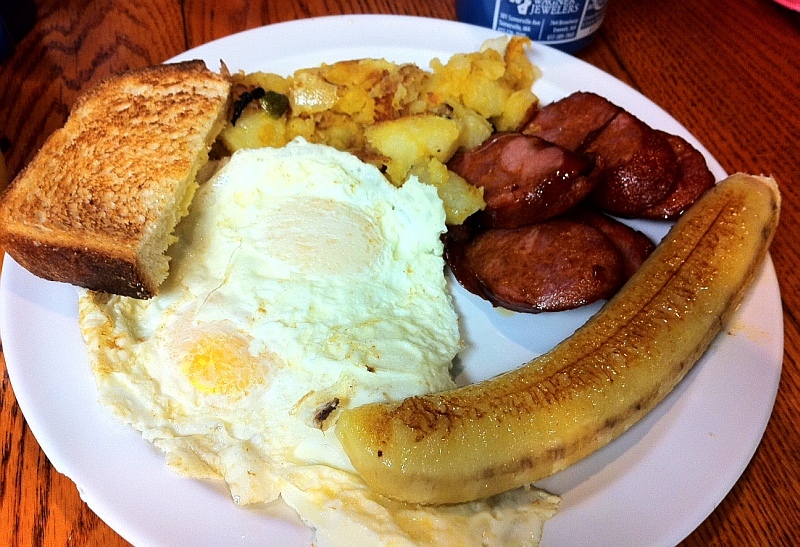 I had one of the lighter of the Portuguese-style breakfasts, which came with fried banana and linguica (and cream of wheat, and pastries, and fresh toast, and juice, and coffee, for less than $10). The heavier has traditional cod cakes. When lunchtime rolls around they add roasted chicken, lobster, broiled cod, and piella. I think I'm going back tomorrow. Gosh, Santander, I hope you went back yesterday. That place looks amazing!